At HUILONG &DSA, Series of high-end fencing uses the weathering powder coatings of all the world's top brands - DuPont and Akzo - Nobel. Our products are good quality, strong adhesion, coagulation force, high weather resistance, and we provide ten years of quality assurance! Core spray equipment: a total length of 320 meters automatic spraying line was designed and constructed by the National military seven-Tech Enterprise, It uses Taiwan Qingfeng technology, Henkel phosphorus environmental pre-treatment, and the world’s top Ruishijinma spray system. The Factory occupies 80 acres and a building area of 30,000 square meters, set the development, production and sales of leading products around the airport boundary, the prison wall steel mesh, high-end community fence, municipal railing, logistics zone fence; and it is "the famous trademark "in Hebei Province,and CCTV "brand strength" interview Enterprises! 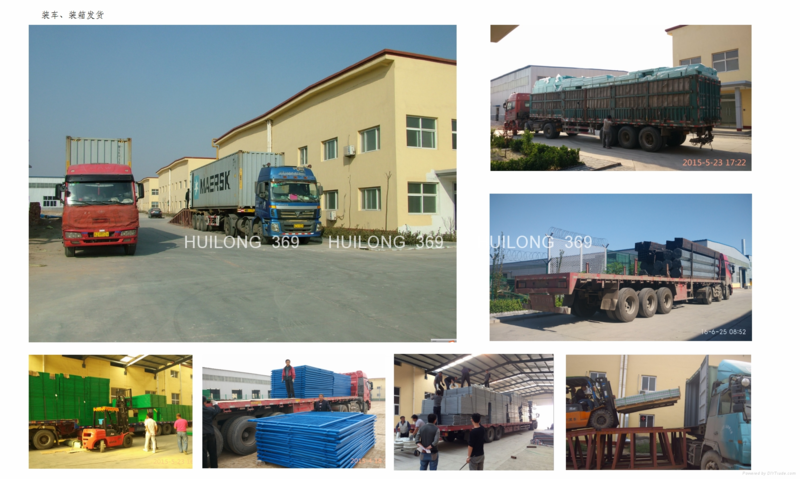 Strict implementation of the ISO9001 quality management system, and exports accounted is 40%; High-end customers cooperation covers nine areas of energy, transportation, education, environmental protection, logistics, etc. We uphold the "integrity, efficiency, innovation, and pragmatic" business philosophy, and we can perfectly meet customer demand on standards, timeliness, communication aspects!